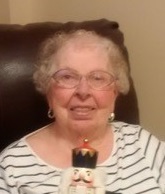 It is with broken hearts that we announce the passing of Elizabeth Beatrice MacRury (Brown) on January 18, 2019 after a brief illness. Born, December 10, 1930, Beatrice was the daughter of the late Catherine (McMurray) and Daniel Brown. 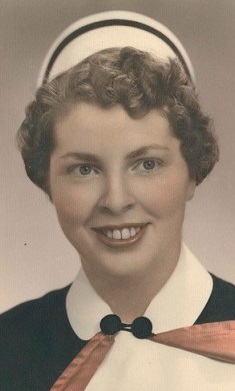 She was a proud graduate of St. Joseph’s School of Nursing, 1955. On June 18, 1957 she married A.J. Archie MacRury and together they raised their children in the Ashby area of Sydney. Beatrice was a wonderful mother and will be missed by her children, Karen (Wayne Sweet), Halifax, Daniel (Donna Andrews) Halifax, Anne (Howie MacIntyre) Sydney, and David (Kelly Parsley) St John’s, NL. She was a wonderful Nina to her grandchildren, Sean MacIntyre, Halifax, Allison Sweet, Halifax and Daniel MacIntyre, Sydney. Beatrice is also survived by her sister, Theresa Daigle, California and many wonderful nieces and nephews. In addition to her parents, Beatrice was predeceased by her husband, Archie MacRury, September 2, 2013. She is also predeceased by her sister, Mary Gouthro, and brother, George Brown as well as in laws, Pat Daigle, Fred Gouthro, Donald MacRury, Pauline and Jim MacRury. Mom was a registered nurse, retiring after 25 years with Cape Breton Addictions Services. Bea enjoyed the people she worked with and had the greatest respect for her clients. Mom was a 35-year member of St. Theresa’s CWL serving on the executive. She was also a member of the senior choir. Beatrice enjoyed her CWL functions, St. Joseph’s alumni, as well as Retired Nurses of Cape Breton. Mom had a terrific outlook on life and enjoyed being with her family as well as a great circle of friends. For the past 4 years she enjoyed living in her apartment at Parkland, Cape Breton. She enjoyed the companionship of many friends at Parkland and the Sisters of the Congregation of Notre Dame. Beatrice loved the staff of Parkland who were so kind to her during her stay. Special thanks to Dr. Greg Myatt, Dr. Anne Frances D’Intino, and Janice Black, R.N., for their professionalism and most of all the friendship given to mom and all the family over the years but especially these past few weeks. 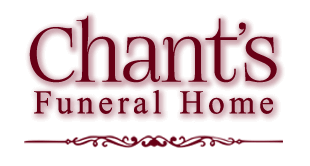 Memorial donations may be made to Palliative Care. Cremation has taken place. Visitation for Beatrice will be held on Tuesday, January 22, 2019 from 2-4 and 7-9 p.m. at the SW Chant & Son Funeral Home, 564 Alexandra St., Sydney. Funeral Mass will be held the following day Wednesday, Jan. 23, 2019 at 11a.m., at St. Theresa’s Parish, Sydney, with Fr. Dennis Lamey officiating.